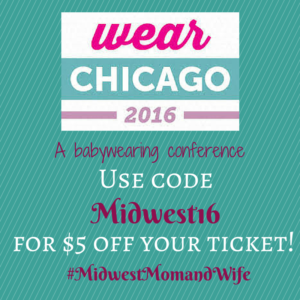 7 Reasons to Attend MommyCon Chicago This Year! Happy New Year! Can you believe it’s already 2017?! I have been gearing up and chatting about MommyCon 2017 since mid-2016 and it’s finally here! I am so excited to be a part of MommyCon’s media team this year. I am extremely passionate about MommyCon and what it has to offer, not only mom’s, but the entire family. I have been TWICE! Once while pregnant, in Chicago and once with little Miss Amelia (who met TheBabyGuyNYC!!!) in Minneapolis. Whether you are planning a family, expecting, have multiple kiddos running around, MommyCon is for every family. MommyCon Chicago is going to be extra special this year. Check out my top 7 reasons why you should attend! 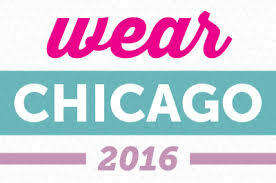 MommyCon Chicago + WEAR Conference. For the first time ever, these two amazing conferences are coming together during the same weekend in Chicago. This means three amazing days filled with all things natural parenting AND babywearing! Great place to research! If you are planning a family, expecting, or already have children, parents are always researching! “What is the best car seat? Should I go with a home birth or hospital birth? Should I use cloth diapers or disposables? WHICH cloth diapers should I use?” All of these questions and so much more can be answered for you at MommyCon. You can ask whatever questions you may have and get the facts before making your own decisions! Meet other moms & families. The idea of natural parenting is growing and becoming more popular, but sometimes it’s hard to find other families that think and parent the same way as you do. 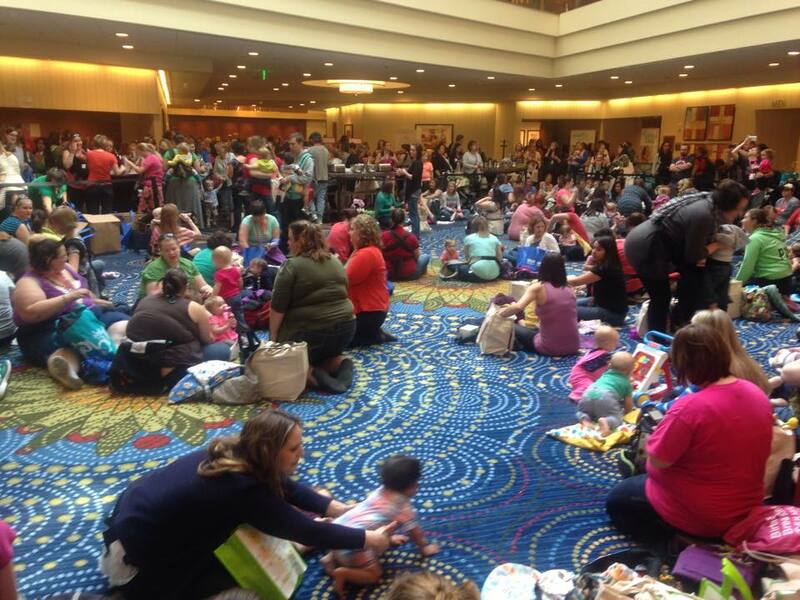 MommyCon is a great place to come together and make connections. Parenting is hard and sometimes much harder when you are doing things a bit different then the norm, but MommyCon is a very welcoming place! Everyone is invited! The term “natural parenting” can sometimes scare new parents, but MommyCon is for everyone. You don’t have to baby wear, use cloth diapers, not vaccinate and have a home birth to be included. These are all topics that may be talked about, but as a parent you make your final decisions. MommyCon is a place to become educated and make the best decision for you and your family. Educated & knowledgeable speakers. They don’t just grab the average “Joe” off the street to speak 🙂 Although, the schedule has not been released yet, some speakers you may be able to hear include Abby Theuring – The Badass Breastfeeder, Dr. Bob Sears – Very well-known pediatrician, Jamie Grayson – Baby Gear Expert, and more! BABYWEARING! Everything you want or need to know about babywearing! Ask questions, learn about different carriers, actually see and feel different baby carriers before buying and much more! Just the WEAR Conference alone, consists of 48 sessions, 24 speakers and 3 days filled of everything babywearing. Okay, have I convinced you yet?! 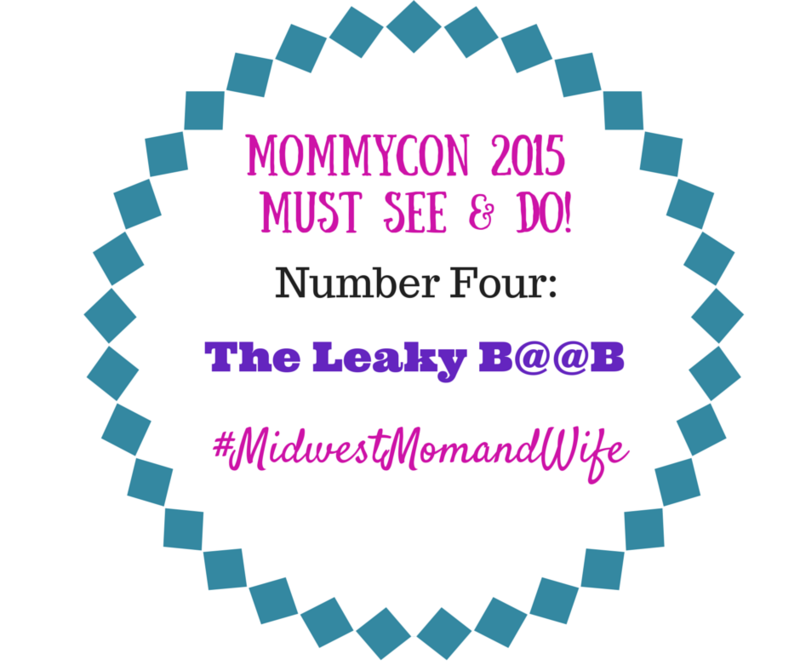 How about if you won 2 tickets to MommyCon Chicago? Lucky you, I am giving away 2-FREE tickets! Enter below. Disclosure: These tickets are only good for General Admission for MommyCon only. WEAR Conference tickets will need to be purchase separately! I am so excited to help spread the word of this year’s first babywearing, WEAR conference held by MommyCon! 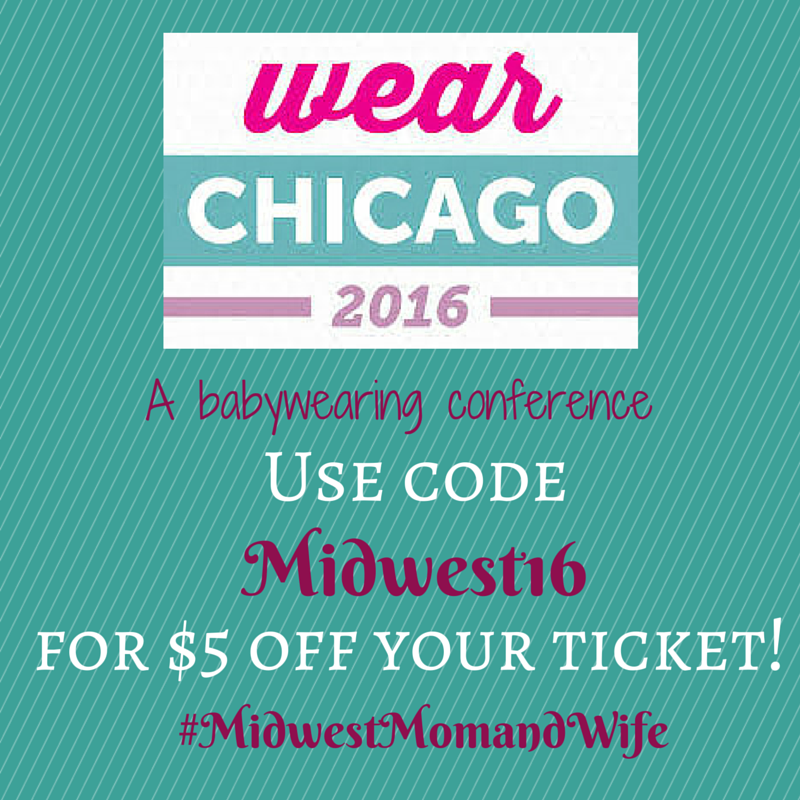 I have attended MommyCon a few times and I know the WEAR conference will NOT disappoint! This 3-day conference will be held in Chicago, over Memorial Day weekend. It will be full of speakers, seminars, over 30 exhibitors, classes, and much more! ALL related to babywearing! The Babywearing Lounge – where you can touch and try-on lots of carriers! Check out the entire WEAR schedule here! Whether you are new to babywearing or a novice, there will be something for everyone! There are rooms available at the Westin Michigan Avenue hotel, at a discounted rate. When booking your room, make sure to mention WEAR! Find more details here! All children under the age of 16 years are FREE to attend with a paid adult. If you are interested in attending make sure to use discount code: Midwest16 at checkout to receive $5 off your ticket price! 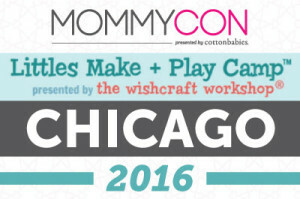 MommyCon has kicked off their tour across America and will be in Chicago March 4th – 5th! 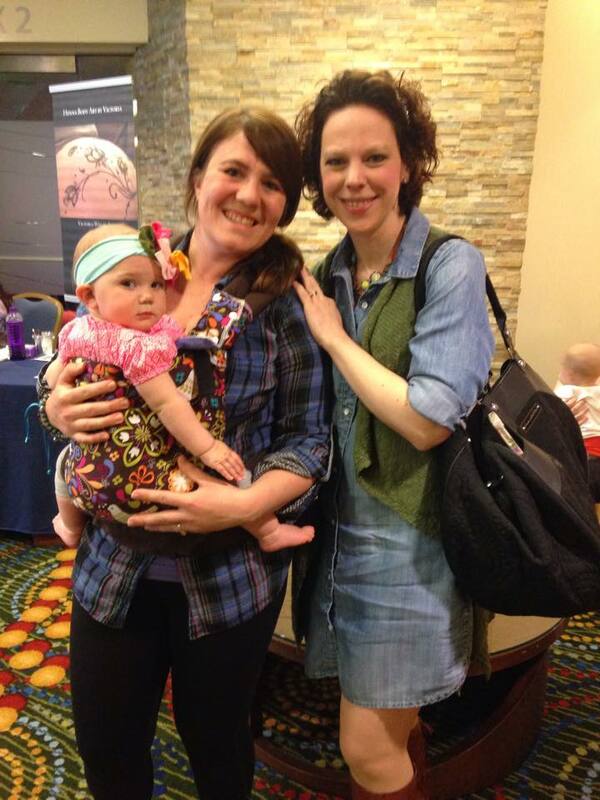 I was able to attend the MommyCon Chicago two years ago, while I was pregnant with Amelia. I had a blast and learned so much. The great thing about MommyCon is you can attend a conference every year, or go more then once a year, and you still learn so much at each event. No conference is exactly the same. Each MommyCon may differ by speakers, vendors and exhibits. The Friday before the main event, are the VIP sessions! 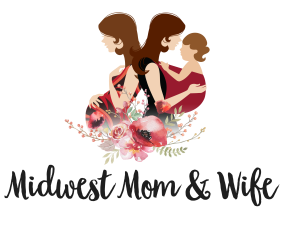 Check out this years VIP sessions at MommyCon Chicago! For additional cost you can attend once of these sessions and receive a majorly awesome swag 🙂 Last year, I attended the Cotton Babies session and met Jenn Labit! This year, MommyCon Chicago is adding something new! They are offering Little Make + Play Camp! This is the perfect option if you are wanting to attend the conference and have children ages 3 years and older. making things that fly, and more! You can pay $15 per session (if you pick and choose) OR you can purchase a whole day pass for $50. Sounds like an awesome deal! Check out the entire details here! 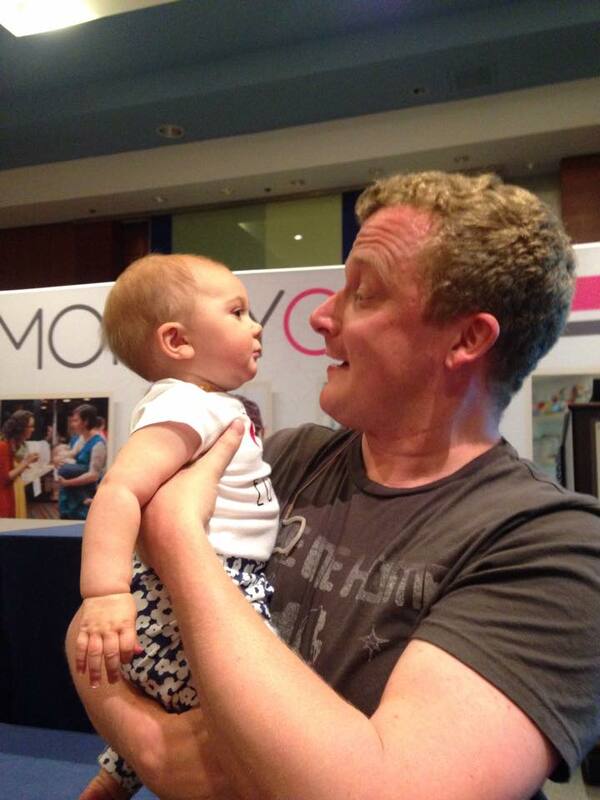 I am so bummed I am not able to make this year’s Chicago MommyCon! I would love to sign Monte up to check this out! Hopefully, if everything goes well this year, they will offer it at their other MommyCon conferences next year! 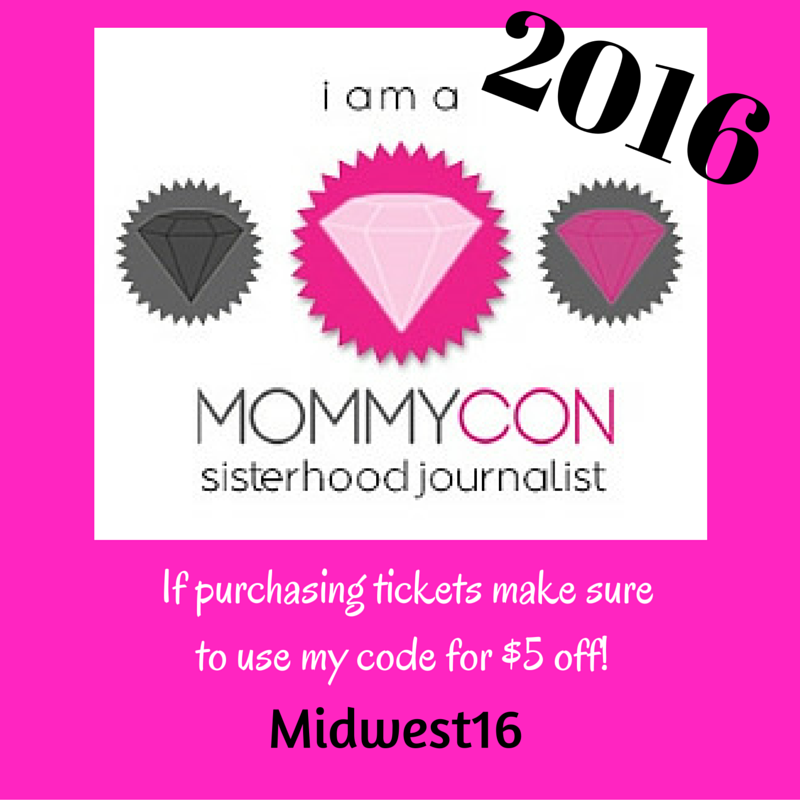 Don’t forget you can use Midwest16 to receive $5 off! 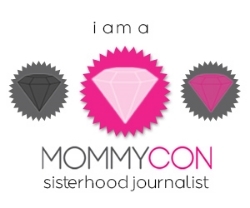 I am so honor to be a MommyCon Sisterhood Blogger, again! I have been to this amazing conference two years in a row and truly believe this is the best conference for expecting mothers, new mothers, or moms with toddlers! AND it’s not just for moms! Spouses can learn so much too! The focus of MommyCon is to focus on natural parenting methods. Whether it be babywearing, cloth diapering, breastfeeding, or car seat safety there is a topic you can learn more about. VIP events are hosted the Friday before most of the MommyCon Conferences. For an additional amount of money (amounts vary) you can attend a smaller, more intimate seminar to learn more about a company or topic. You will also receive another awesome swag bag! 🙂 Check out when I attended the VIP event with Jenn Labit from Cottonbabies last year! The swag bag. This is just one of the many ways you can receive amazing freebies! There have been blankets, cloth diapers, full size samples, and so much more. A swag bag is included with every MommyCon ticket! There are awesome seminars to attend through out the day that may include Cloth Diapering 101 with Jenn Labit (love her! 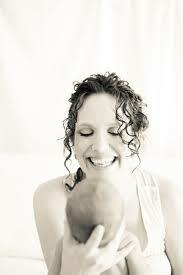 ), Babywearing 101 with Beco and Ergobaby, The In’s and Out’s of Natural Birthing, and more. Each conference location differ with seminars and guest speakers! The shopping is fun! Throughout the day, there are booths set-up that may include cloth diapers, babywearing carriers and accessories, bottles, clothes, games and toys, breastfeeding support, breast pumps, car seats, and much, much more. A lot of the booths giveaway freebies and it’s a great place to touch, ask questions, and test out products before you buy! At the end of the day is a massive giveaway to all attendees for the conference! EVERYTHING and EVERYONE is free game! You could win an entire car seat travel system, crib, breast pump, gift certificates, and so much more. It is so much fun! You have several chance to attend a conference AND maybe you can attend two 🙂 Check out the dates and locations below! Check out specific details about each event here! This year there are two additional conferences that focus on infant feeding and babywearing! You will NOT want to miss these either! If you are planning to attend, make sure you use the discount code Midwest16 to receive $5 off your ticket for any conference! 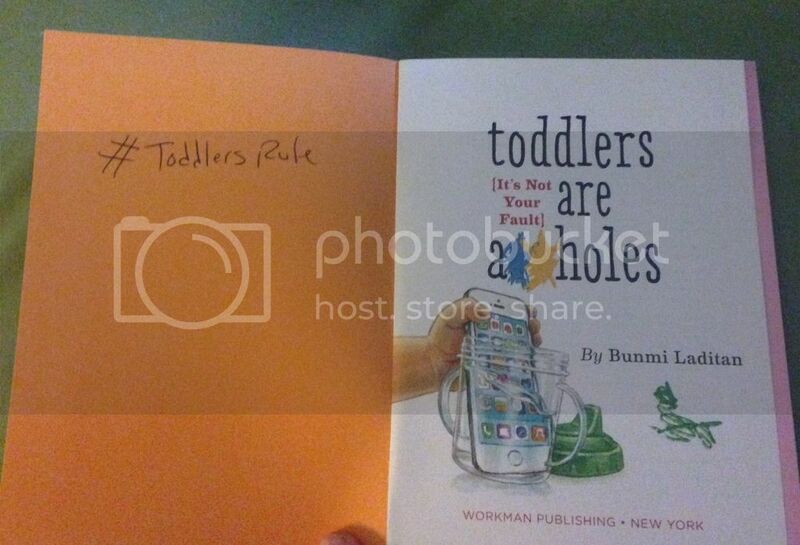 The Honest Toddler & Signed Book Giveaway! One individual I was very excited to see at MommyCon Minneapolis was Bunmi Laditan aka The Honest Toddler. I had been following her on Facebook, Twitter and had subscribed to her hilarious blog. She was even more funny in person! The Honest Toddler does NOT hold anything back. She lays it out just as it is. It is amazing how many things she describes and explains hit so close to home. It seriously is a relief knowing that you are not the only parent out there dealing with all the things, with a toddler. As she explains, toddlers are entirely another species! I just finished reading the book and loved it. I will give you a heads up … yes, you can relate to a LOT, but some of the things may be taken to an extreme. I have no doubt in my mind though, that there are parents out there that deal with these extremes! 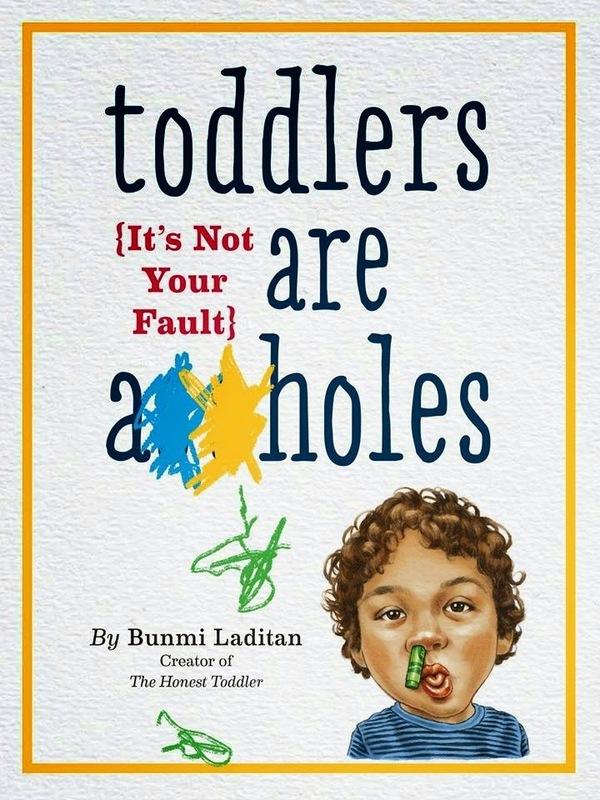 Honestly, any and every parent who has a toddler or has graduated out of the toddler stage (lucky you) can and will relate to this book! Comment below one crazy thing your toddler has done! 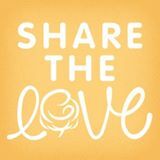 I am so excited to announce that I am officially a Share the Love host for Central Iowa! What is Share the Love? I have mentioned it a few times since I returned from MommyCon Minneapolis, but I wanted to wait to go into more detail. Share the Love is a National Cloth Diaper Bank. In 2012, Share the Love was created and began in St. Louis, Missouri. The sole purpose of this program is to distribute and provide cloth diapers to low-income families. A study was done, that one in three American families were forced to choose between food, household items and diapers. Jennifer Labit, owner of Cotton Babies, wanted to help change this. Since 2012, there have been host sites created in all 50 states across America. Many states have several host sites. To receive diapers, eligible families must apply for assistance. All of the diapers that are donated to Share the Love sites, are donated from other families who no longer need or use their cloth diapers. Donate! You can donate any cloth diapers you no longer use. If they need a little tending to, that is okay. We will make sure they get put back into working condition, before they are distributed to families. You can also donate cloth wipes and/or changing pads! Be a drop site! Do you own a business or work within a business that would be a great place for people to leave their diapers for donation? We are looking for several places in Central Iowa to leave baskets and information about the program. We would provide the basket & materials and would pick-up as often as needed! Help spread the word to low-income families! Do you know of a great place or organization that we can spread the word about Share the Love? Share the Love is new to Central Iowa and many low-income families may not know of this option. With your help, we can help ease the minds of these families by getting them cloth diapers! If you can help in ANY of these areas or have questions about the program please contact me at SharetheLove@cottonbabies.com. 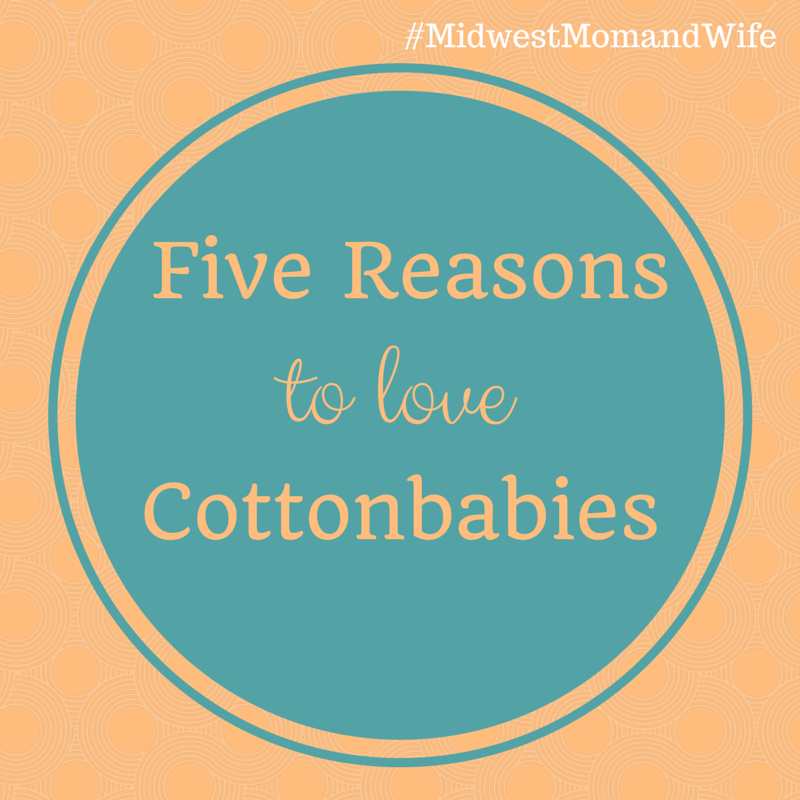 While at MommyCon Minneapolis I learned a lot about the company Cottonbabies. I was familiar with the company, knew they sold some awesome cloth diapers, but learned that they are so much more! Not only do they sell amazing diapers, but they strive to help people less fortunate, support mothers, honest, and owner Jen Labit is amazing! Let me break down some awesome reasons to love and support this amazing company. 1. Jen Labit is a working mother and wife. When I attended her VIP session at MommyCon, I learned that she may own and run a very successful cloth diapering company, but she is a mother and wife first. She has the same struggles to “fit it all in” as we do. She is a very inspirational woman and believes that mothers should have the “permission to dream”. 2. Jen Labit supports working mothers. Not only does she support them, she allows the mothers who work for her, to bring their children to work. She recently wrote a blog post, that explains how important it was for her to have her babies with her, when trying to grow and make Cottonbabies successful and how they make it work now. 4. They offer several types of cloth diapers. Cottonbabies has created four different brands including: Bumgenius, Flip System, Econobum and Hemp Babies. By offering four different brands, there is surely something you will find and fall in love with. It’s important to have options and when it comes to cloth diapering there are a LOT of options and systems out there. It’s important to find what works best for you and your family. I just recently fell in love with the Flip System! 5. The Genius Series is freaking adorable 🙂 I want and need all of these! 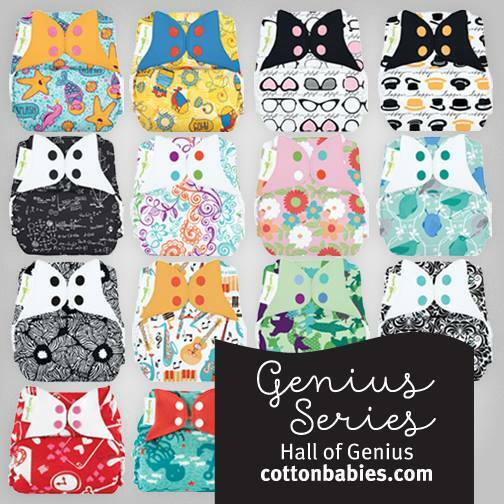 I love how Cottonbabies got unique and created some fun diapers representing some genius people in history! Geniuses that are represented include: Albert Einstein, Nelle Harper Lee, Louis Armstrong, Alicia Boole Stott, Osa Johnson, Matin Johnson, Ada Lovelace, Wangari Maathai, Steve Irwin, Jules Verne, Lewis Carroll, Audrey Hepburn, Charlie Chaplin, Marie Tharp, and Dr. E. Lee Spence. 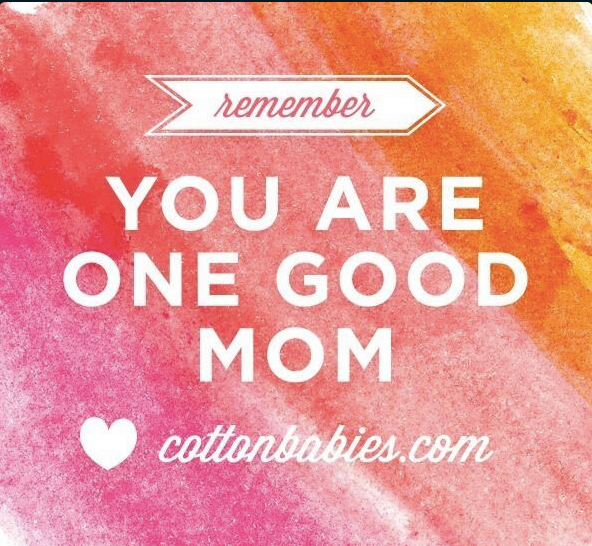 Make sure you are following Cottonbabies and Jen Labit on Facebook! 2. Babyganics AWESOME products and I have a bunch to test out, share my thoughts and GIVEAWAY! 3. The Great Cloth Diaper Change was an awesome experience! 4. I learned lots about the Diva Cup, from who else? Dirty Diaper Laundry’s Kim Rosas. 5. I met The Honest Toddler!! Bummi Laditan is hilarious! I am excited to read her new book and give away a signed copy by her! 6. I listened to TheBabyGuyNYC talk about strollers and carseats AND Amelia got her picture taken with him. I had so much fun meeting awesome people, learning about new baby products, and so much more. Please keep your eyes open for my reviews and some great giveaways coming your way! The MommyCon Minneapolis schedule has been announced and I am so excited! It’ s about a month away and I will be traveling to Minneapolis to see and hear some awesome speakers and great exhibitors. Click here for complete details of what you can expect in each seminar. Some of the above exhibitors will have exclusive merchandise in the MommyCon shoppe at the event. There is so much to do and see!! AND do not forget about the Great Cloth Diaper Change! If you have not registered yet, pre-register here. There is no additional cost, but there will be some additional swag bag options coming soon! To make your life a bit easier and organized, you can plan out what seminars you want to see and when. MommyCon has created this Event Planner, you can print and take along with you! If you have not purchased tickets yet, make sure to use my code to receive $5 off your ticket! I cannot wait to see you at MommyCon Minneapolis! I am getting more and more excited for MommyCon Minneapolis. I cannot wait for TheBabyGuyNYC, the Cloth Diaper Resource Center, The Great Cloth Diaper Change aaaaaand …. The Leaky B@@B! The Leaky B@@B is managed and ran by Jessica Martin-Weber, with the help of her husband and other volunteers. The Leaky B@@B site, Facebook page, Instagram and Twitter account were created to help bring breastfeeding mothers together for support. Jessica is a passionate mother, of six, who strongly believes that it is every woman’s right to breastfeed their children wherever and whenever. She is an advocate for all mothers. Not only is she passionate about breastfeeding, but she is an inspiration and encouraging to mothers who are struggling with parenting. The Leaky B@@B website and blog is a wonderful resource for inspiration, real stories, and a great place to go to get questions answered! The Leaky B@@b Marketplace is a great resource to check out. It categorizes different products and businesses that help naturalize breastfeeding and making it easier for mothers to breastfeed. The Leaky Love is also a great place to visit if you are feeling discouraged and need support. In this section comments and questions from other mothers, from all over, are shared. It is a great place to look if you need to be reassured you are not alone! I am REALLY looking forward to hearing Jessica from The Leaky B@@b speak at MommyCon Minneapolis Saturday, April 18th! 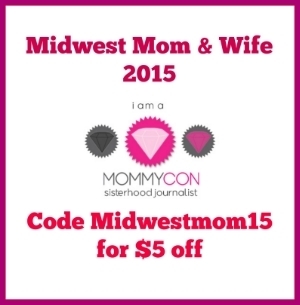 Do not forget you can receive $5 off your MommyCon tickets when you use my code!